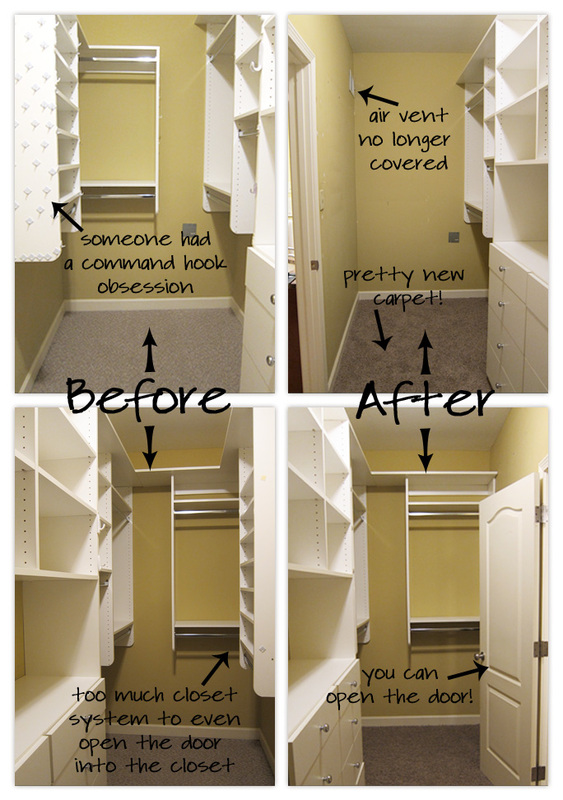 First of all, the previous owners had a command hook obsession...especially on the left side of the closet. Also, the A/C vent is on that same wall and part of the closet system blocked it. Plus, having the system on both sides looked messy to me. SO we removed the system from that wall! Secondly, on the right side of the closet the system did not allow for the door to open into the closet. SO we removed the system from that wall too. Also, this closet along with the rest of the downstairs got new carpet.